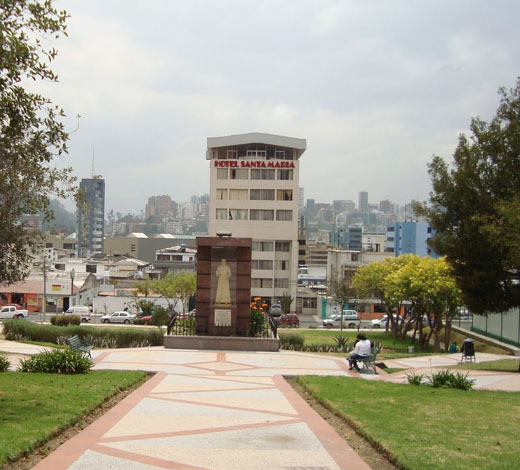 Departure from Quito or Guayaquil to Baltra airport. Passenger will be received at the airport by our guide and then taken to the pier to join the Beluga Yacht. 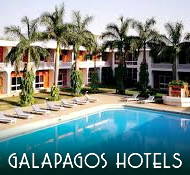 After a dry landing guests will encounter swallow tailed gulls and sea lions. 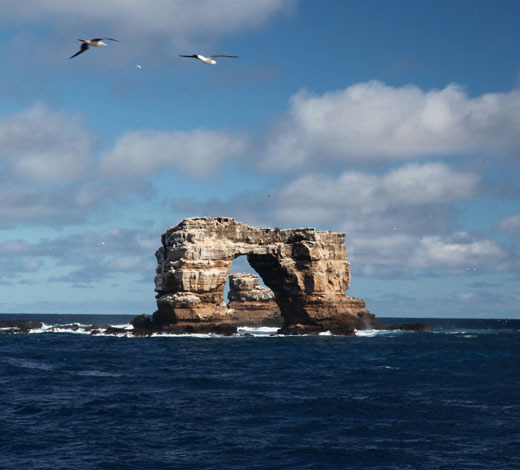 This site is also known for being a major nesting colony of blue footed boobies, and the largest colony of the magnificent frigate bird. (a different species from the great frigate bird). 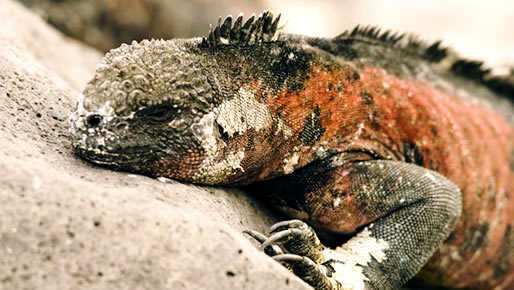 Travellers will also spot both endemic species of iguanas, the marine iguanas and land iguanas. 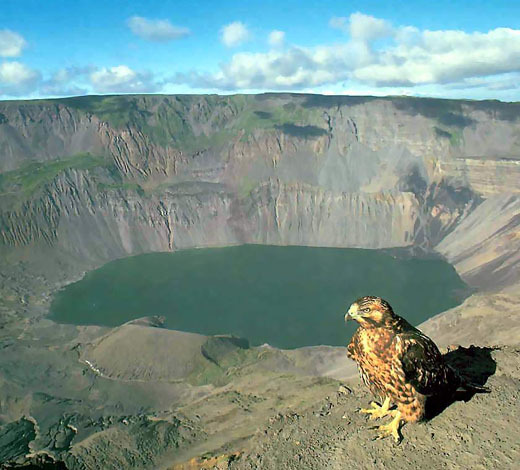 Passengers will enjoy this relaxed hike around the nesting sites. At Point Cormorant we visit a Flamingo Lagoon where other species of shore birds may also be seen. Snorkelling at Devil´s Crown, a submerged volcanic cone, and at Post office Bay, one may leave letters like whalers did in the 18th century in a wooden barrel mailbox. 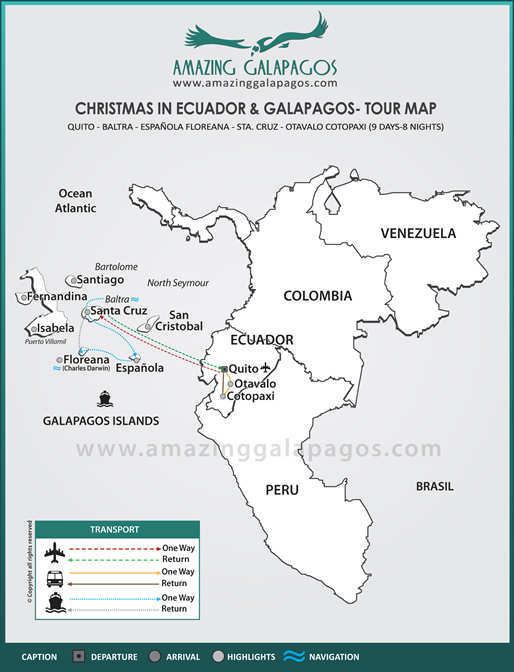 Eearly visit to The Charles Darwin Station and headquarters of the Galapagos National Park may be visited at Puerto Ayora, the Islands´ most populated human settlement. Transfer to the airport for your flight to mainland. Visit to the colourful Indian market of Otavalo, some two hours drive from Quito. 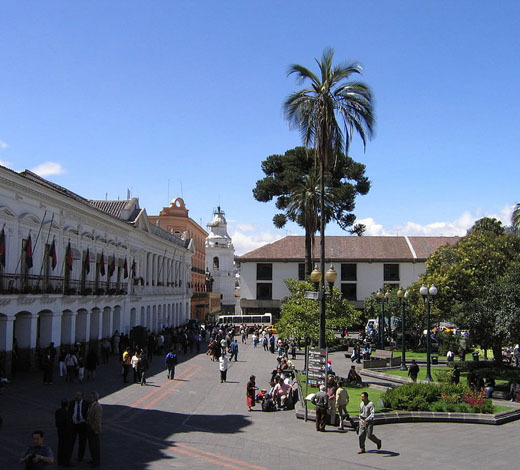 With its many impressive arts and crafts of the local people, the market (best on a Saturday) dates back to pre-Inca times when jungle products from the east were traded with highland products. Traditional dress is observed throughout the market. Trip to Pinsaqui, one of the oldest Haciendas in Ecuador and dating back to 1790. Enjoy a superb lunch before visiting the Lago de San Pablo or the Lagunas de Mojanda, Cuicocha, or Yahuarcocha. Return to Quito for accommodation.